John Scott, Lord Eldon (1751--1838) was a dominant figure in Georgian public life, and ranks among the most important Lord Chancellors in the long history of that office. This biography - the first for one hundred and fifty years - also surveys Eldon's earlier career as an MP and Law Officer. As a lawyer entering Parliament, he encountered both prejudices against 'learned gentlemen' and opportunities for advancement. Once in office he swiftly made his presence felt, drafting the Regency bill of 1788, and conducting the government's legal campaign against Republicanism. Retiring at last in 1827, Eldon spent his final years opposing political reform. 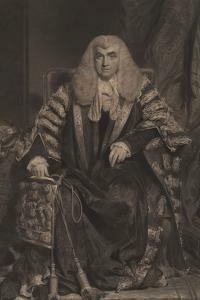 Labelled by many as a relic of 'Old Toryism', Eldon's views of government, politics, and the constitution represent an important strand in Georgian political thinking, and his career illuminates the work of the major legal offices of British government. ... Rose A. Melikan's impressive new biography ... This book is particularly valuable for its detailed tracing of Eldon's political career in parliament and his relationships with his contemporaries, which draws on a wide range of source material. Melikan's is a well constructed, subtle and balanced argument, which often gives useful insights into his character. Dr. Melikan is to be thanked for producing a meticulously researched, long overdue biography in an elegant and eloquent style. This is a political biography as it used to be written, with facts given, not theories argued and all is thoroughly based on wide research. ... an obvious need for a well-researched and balanced study. After a gap of about 150 years we now have such a work in Rose Melikan's book ... Melikan reveals the range of his career and recsues him from caricature ... This result is an admirably detailed and convincing portrait ... This study has many merits. For the first time Scott emerges as a rounded personality, and his sustained influence upon the legal life of England and Wales becomes comprehensible.